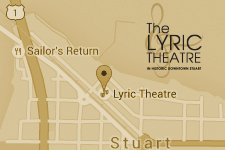 The Lyric Theatre seats 500 and has a 22'X30' stage and features whisper-perfect acoustics. It has a balcony, spacious lobby and entrances on two downtown streets. Please find downloadable documents in the column to the right, containing Lyric Theatre Technical Specifications.